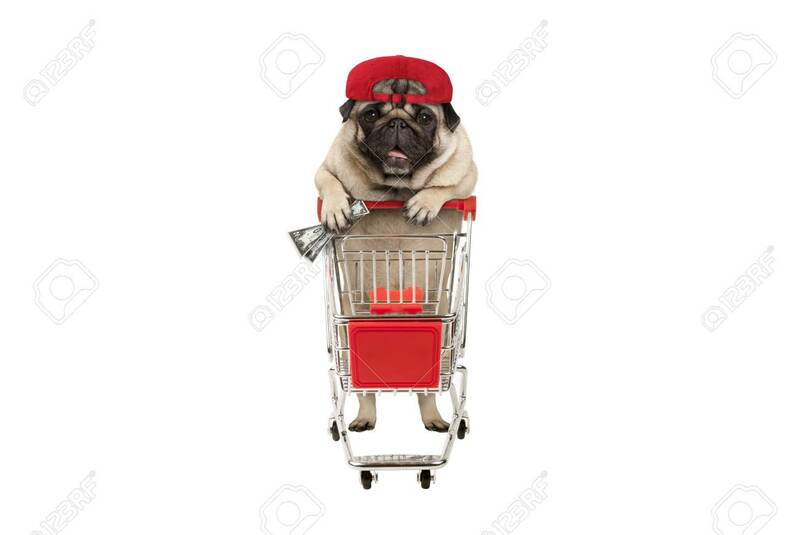 Funny Happy Pug Puppy Dog With Money In Is Hand, Leaning On Shopping Cart. Isolated On White Background Royalty-Vrije Foto, Plaatjes, Beelden En Stock Fotografie. Image 112438553.